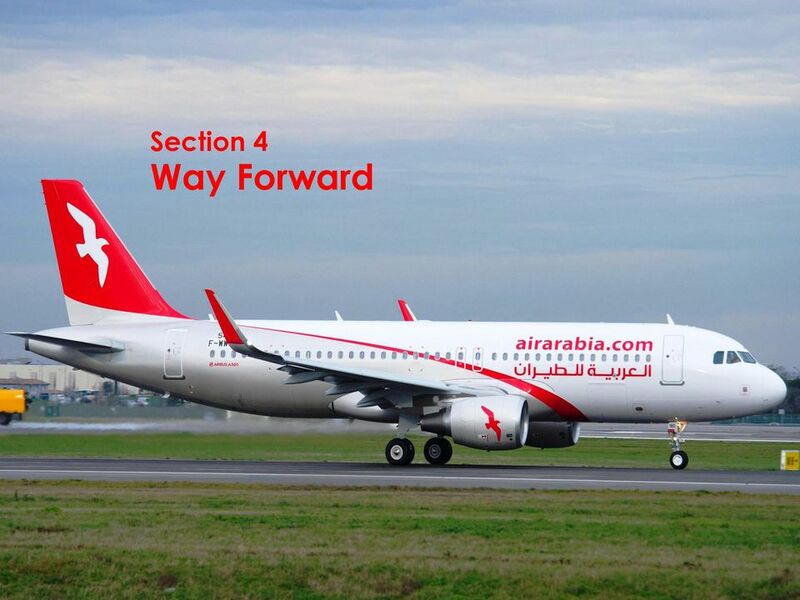 Download "Air Arabia. 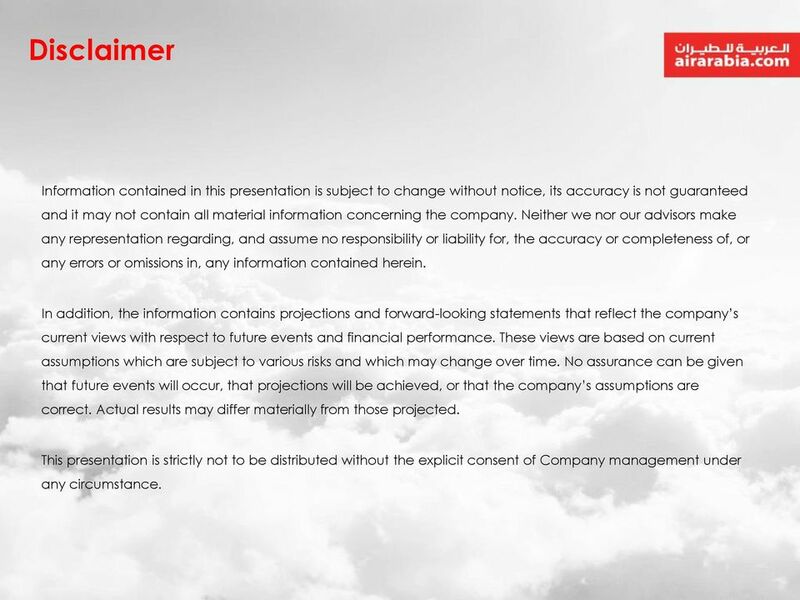 Investor Presentation FY 2015"
2 Disclaimer Information contained in this presentation is subject to change without notice, its accuracy is not guaranteed and it may not contain all material information concerning the company. Neither we nor our advisors make any representation regarding, and assume no responsibility or liability for, the accuracy or completeness of, or any errors or omissions in, any information contained herein. In addition, the information contains projections and forward-looking statements that reflect the company s current views with respect to future events and financial performance. These views are based on current assumptions which are subject to various risks and which may change over time. No assurance can be given that future events will occur, that projections will be achieved, or that the company s assumptions are correct. Actual results may differ materially from those projected. This presentation is strictly not to be distributed without the explicit consent of Company management under any circumstance. 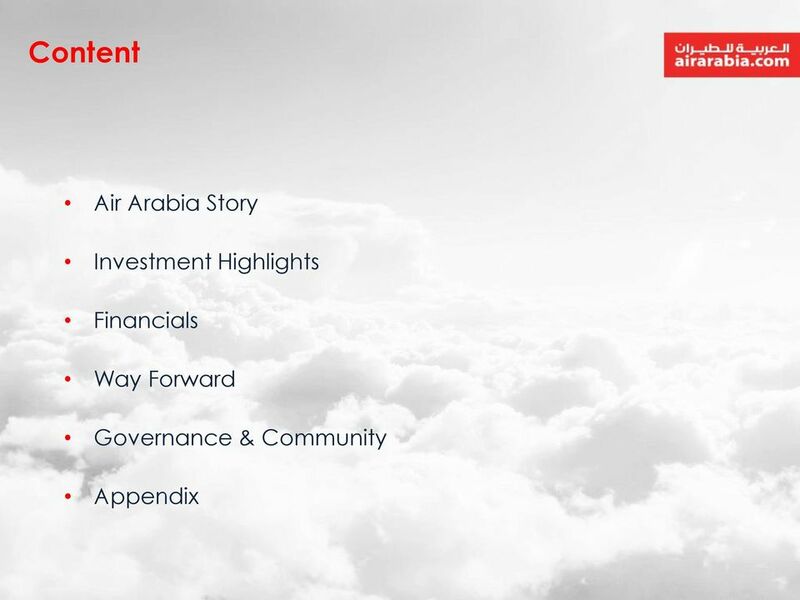 5 Air Arabia Story General Overview Company Overview Launched in October 2003, Air Arabia is the first and largest low cost carrier in the Middle East and North Africa. 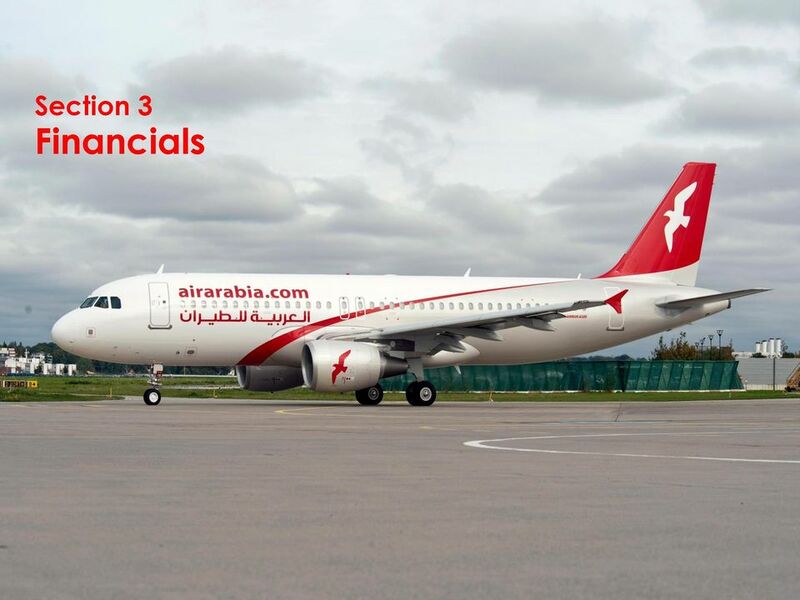 Asset Evolution ( ) Air Arabia has grown to become a leading low cost carrier operator across key Global emerging markets Operating a total fleet of 41 (owned & leased) Airbus 320s Operates out of 5 Hubs: Sharjah, Ras Al Khaima, Egypt, Morocco, and Jordan. 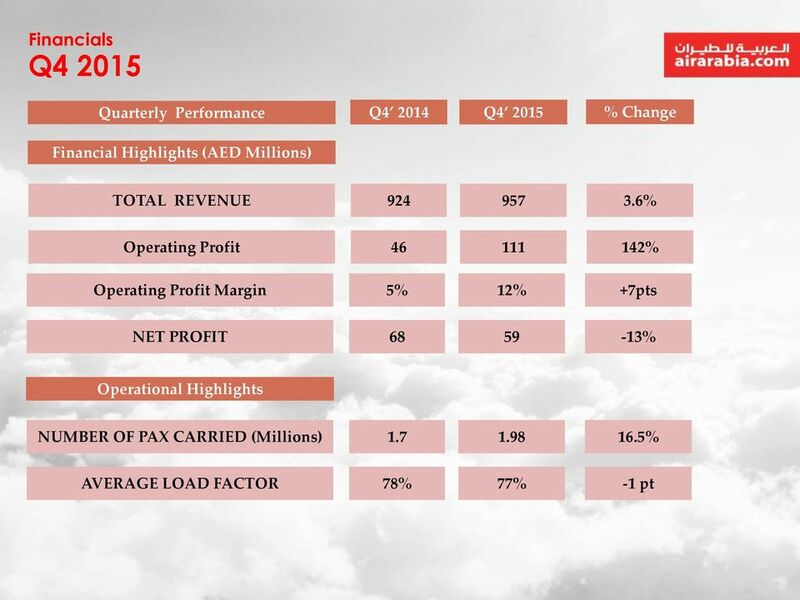 Cargo operations continue to be a fast growing ancillary with revenues around AED100M. 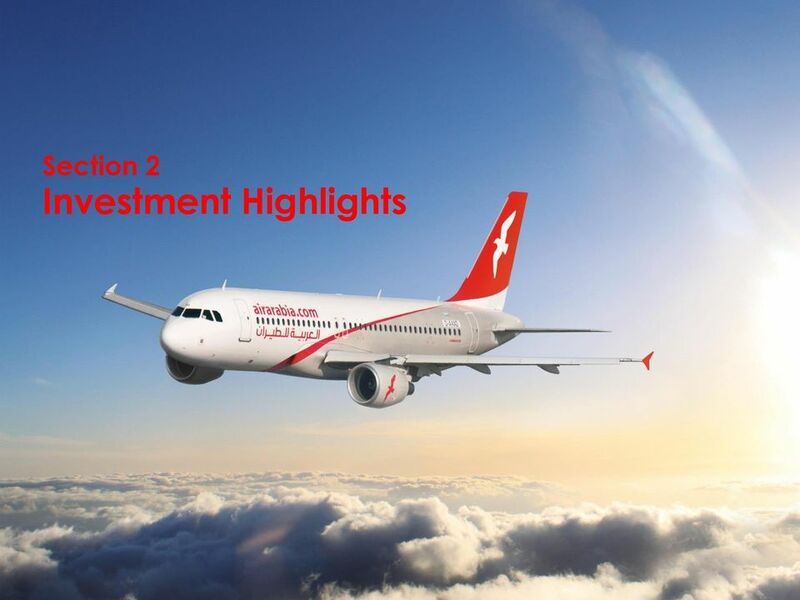 More than 115 Destination reached by Air Arabia Asset Values In Billions Route network continues to grow with 23 destinations added in 2015. 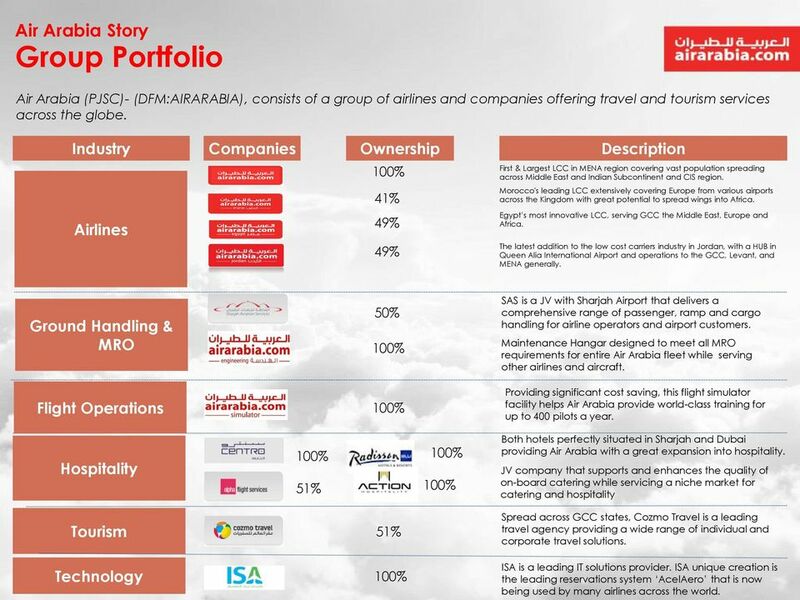 8 Air Arabia Story Group Portfolio Air Arabia (PJSC)- (DFM:AIRARABIA), consists of a group of airlines and companies offering travel and tourism services across the globe. Industry Airlines Companies Ownership Description 100% First & Largest LCC in MENA region covering vast population spreading across Middle East and Indian Subcontinent and CIS region. 41% 49% 49% Morocco's leading LCC extensively covering Europe from various airports across the Kingdom with great potential to spread wings into Africa. 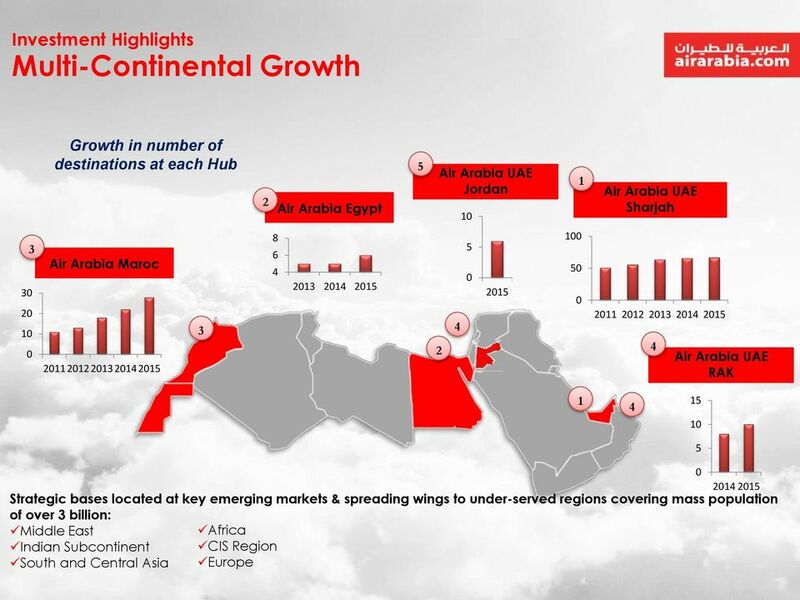 Egypt s most innovative LCC, serving GCC the Middle East, Europe and Africa. 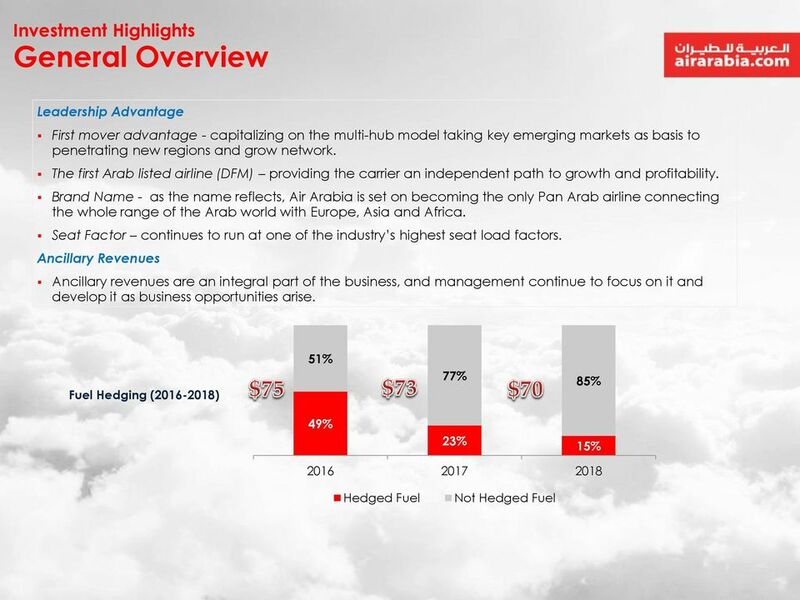 The latest addition to the low cost carriers industry in Jordan, with a HUB in Queen Alia International Airport and operations to the GCC, Levant, and MENA generally. 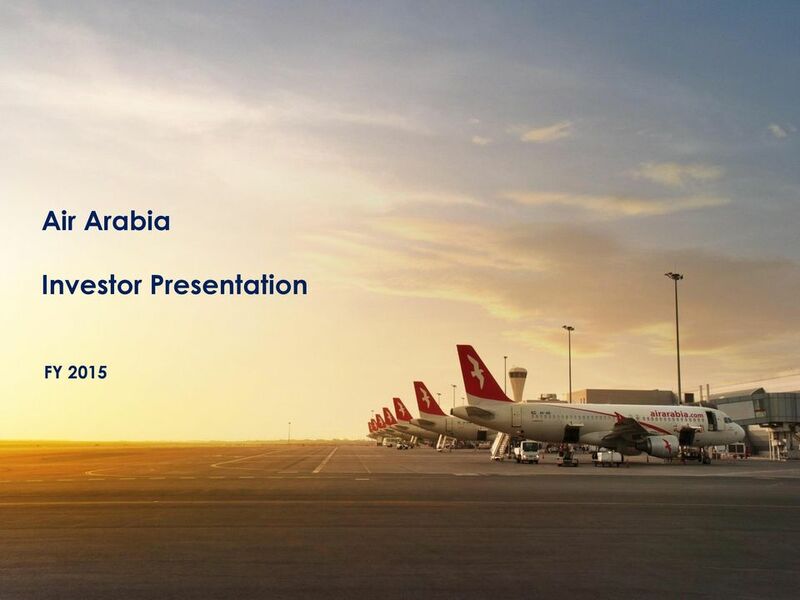 Ground Handling & MRO Flight Operations 50% 100% 100% SAS is a JV with Sharjah Airport that delivers a comprehensive range of passenger, ramp and cargo handling for airline operators and airport customers. Maintenance Hangar designed to meet all MRO requirements for entire Air Arabia fleet while serving other airlines and aircraft. Providing significant cost saving, this flight simulator facility helps Air Arabia provide world-class training for up to 400 pilots a year. Hospitality 100% 51% 100% 100% Both hotels perfectly situated in Sharjah and Dubai providing Air Arabia with a great expansion into hospitality. JV company that supports and enhances the quality of on-board catering while servicing a niche market for catering and hospitality Tourism Technology 51% 100% Spread across GCC states, Cozmo Travel is a leading travel agency providing a wide range of individual and corporate travel solutions.  ISA is a leading IT solutions provider. ISA unique creation is the leading reservations system AcelAero that is now being used by many airlines across the world. 11 Investment Highlights Cost Control & Operational Efficiency Amongst the world s most efficient airline operational cost. 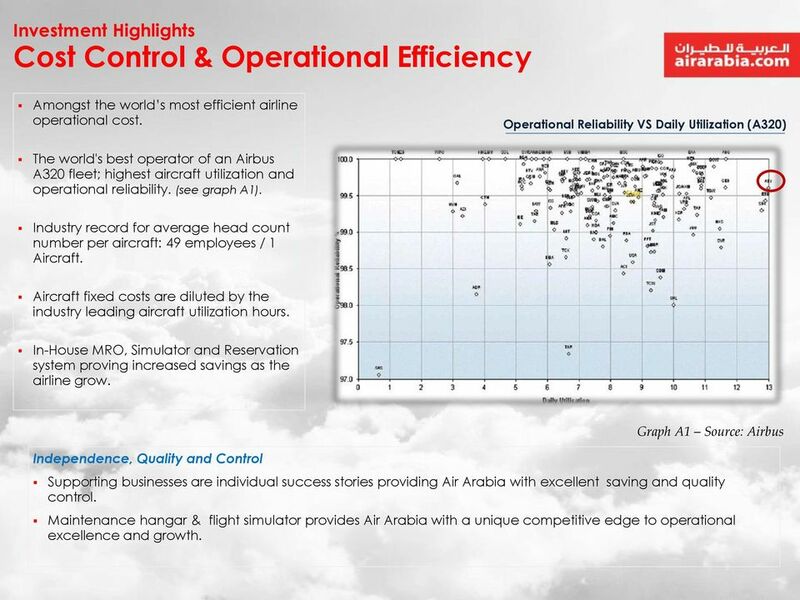 Operational Reliability VS Daily Utilization (A320) The world's best operator of an Airbus A320 fleet; highest aircraft utilization and operational reliability. (see graph A1). Industry record for average head count number per aircraft: 49 employees / 1 Aircraft. Aircraft fixed costs are diluted by the industry leading aircraft utilization hours. In-House MRO, Simulator and Reservation system proving increased savings as the airline grow. 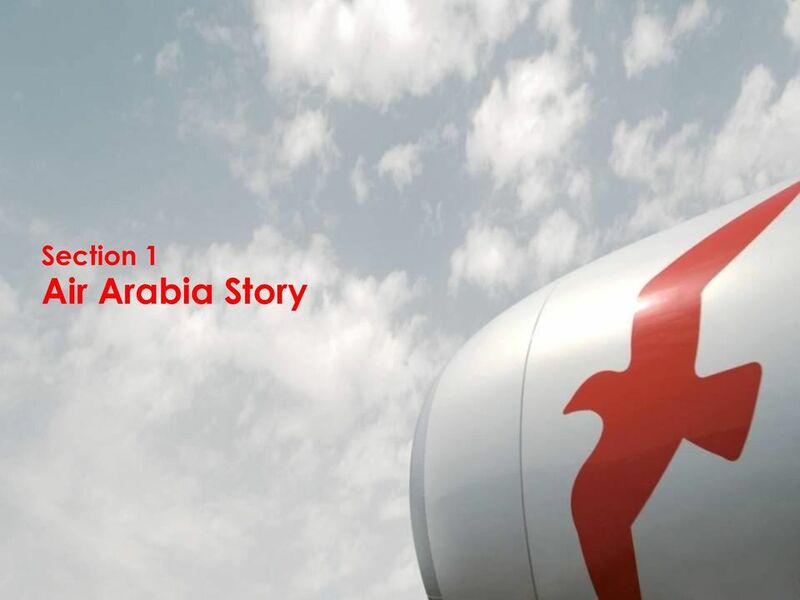 Independence, Quality and Control Graph A1 Source: Airbus Supporting businesses are individual success stories providing Air Arabia with excellent saving and quality control. 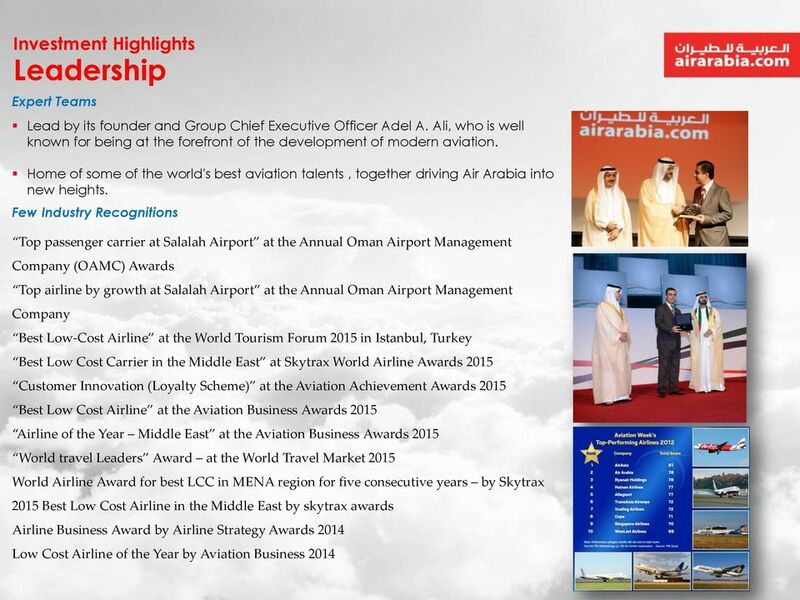 Maintenance hangar & flight simulator provides Air Arabia with a unique competitive edge to operational excellence and growth. 14 Investment Highlights 5 year goals set when going public achieved Key Indicators Goals Set in (2007) Accomplishments by 2012 Revenue To expand the company and double the revenue streams. 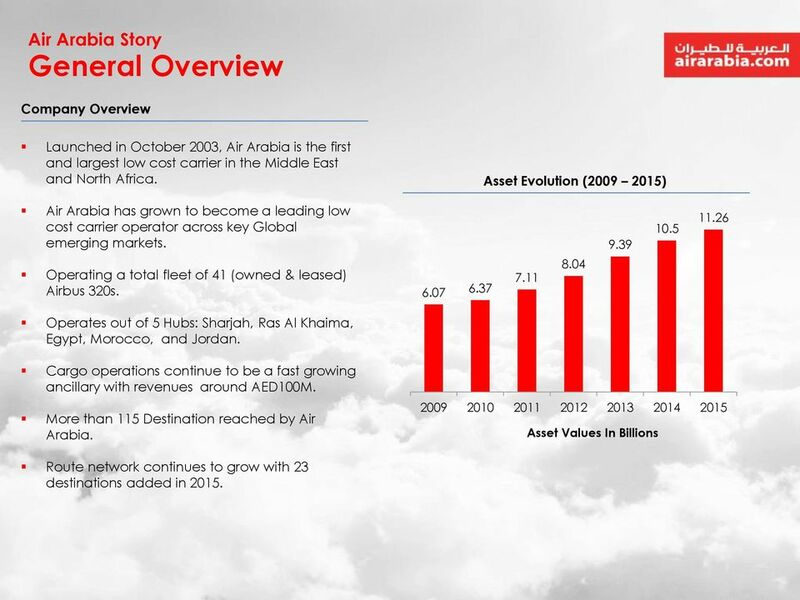 In 2007 Total revenue was AED 1.3Billion. Group revenue touched AED 3Billion (2012). Fleet Size Fleet Ownership Dividend Distribution Network To grow the fleet size with a projection to reach 19 by 2010 and 34 planes by 2015 To have at least half of fleet owned by To distribute at least 25% of the net profits generated as dividend to investors. To have 50 destinations by 2010 and 85 by Current fleet size is 32 aircraft, far ahead of projection. 19 aircraft out of 32 fleet is owned today, that s 59%. Distribution of 96.68% of the net profits generated since the IPO; that is equivalent to 41% of capital over the past 5 years. 84 destinations worldwide by far; without counting the repeated frequencies. 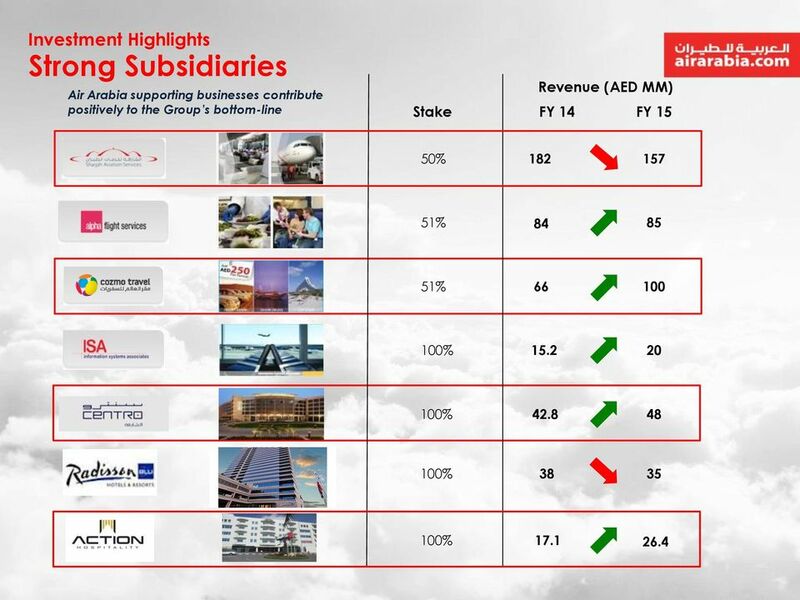 Subsidiaries & JV s To grow our subsidiaries in a way that best complement our operations and strategic goals. 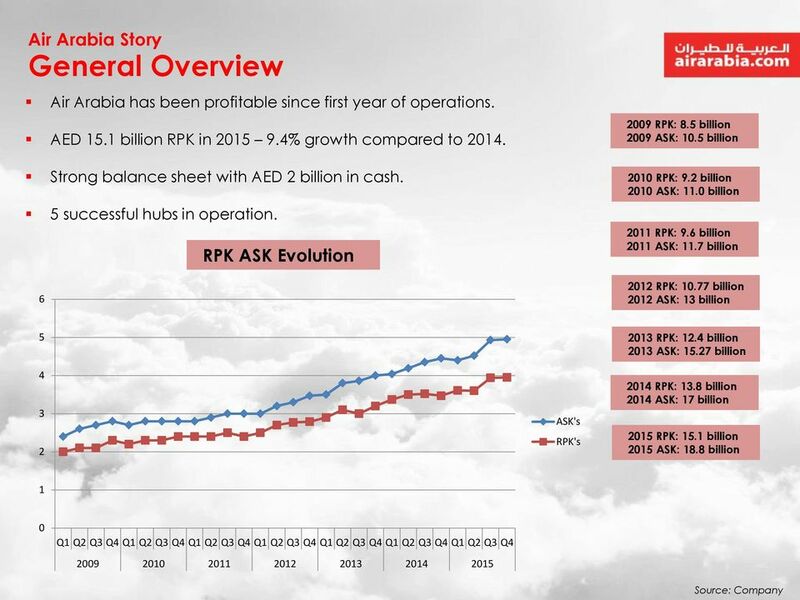 At the time we had 2 subsidiaries, today Air Arabia Group have 9 profitable ones. Operational Growth To seek strategic opportunities for growth. 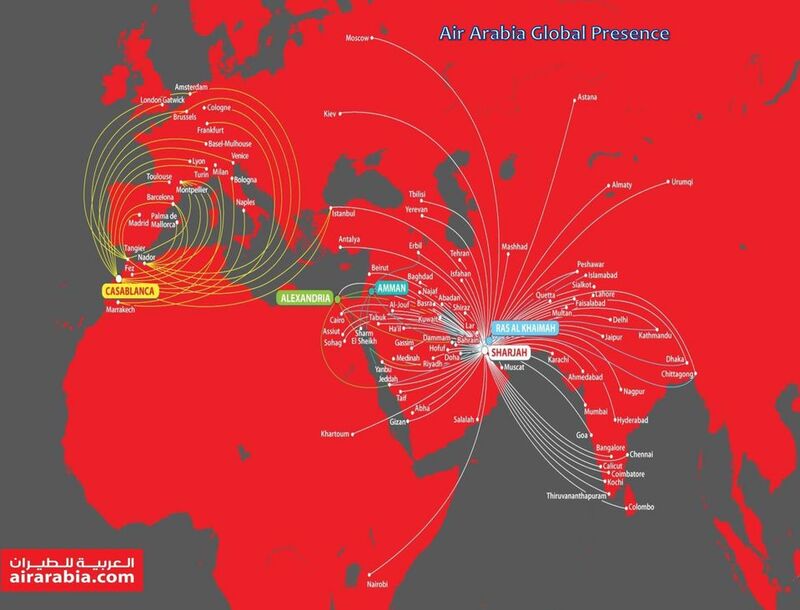 In addition to the UAE, Air Arabia operates from Morocco and Egypt and fully own two hotels in the UAE. Passengers Growth To reach 4.5 Million passengers by Million passenger in 2010 and 5.3 million in Ancillary Revenues To grow our ancillary revenues through expanding product offering. Ancillary revenue grew from 1% of revenues at IPO stage, to 6% of revenues today. 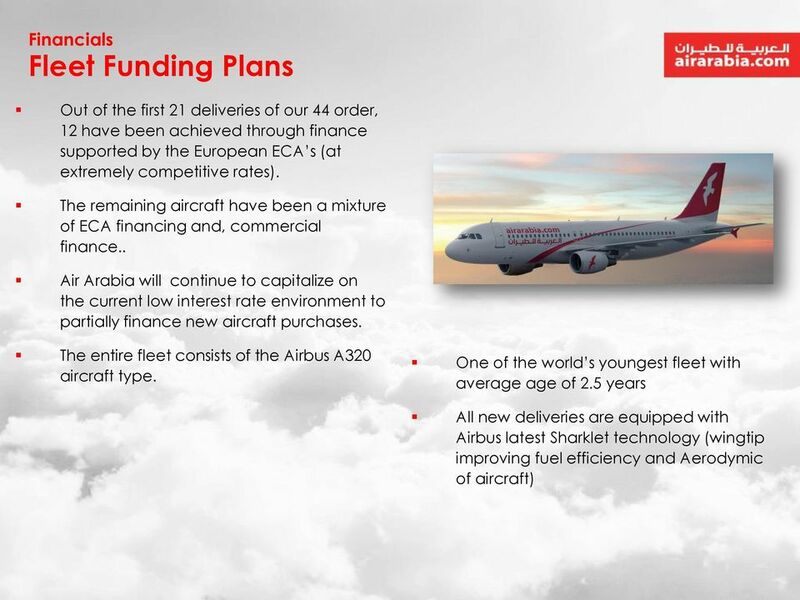 21 Way Forward Group Strategy Air Arabia aims to strengthen its position as the leading low cost carrier operator across the Arab World: Providing its customers with the most competitive fares; Greatest number of destinations; and Highest quality of service while maintaining the Highest return on investment to its shareholders. 23 Governance & Community Corporate Governance Corporate governance code implemented in 2007 is a combination of International and national (UAE) corporate standards. Two board committees with specific responsibility for Audit, nomination and remuneration as well as corporate ethics. Monthly budgeting process, management projection and management financial reports. Risk management framework embedded in the management structure. Fully pledged investor relations function. The company increased its revenues by 8.4% to reach 863 million Euros in 2011. The operating profit (EBIT) amounted to 11.4 million Euros. OMAN - MUSCAT ECONOMY HOTELS MARKET GAP NOVEMBER Accelerating success. MENA HOTEL FORECASTS. 3-Month Rolling Forecast Highlights Feb Apr 2015 YoY RevPAR Variance % MENA Hotels February Fujairah. Makkah. 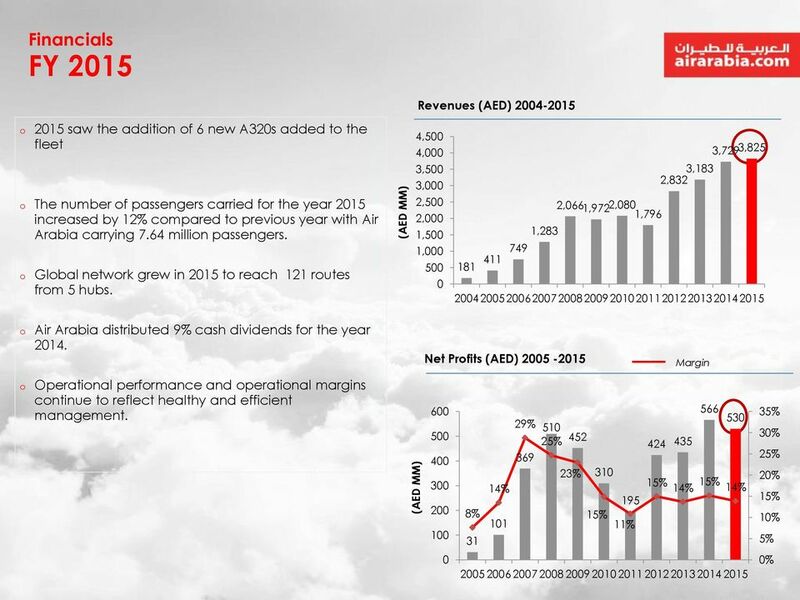 WHICH AIRLINE MANUFACTURER WILL BE THE INDUSTRY LEADER IN THE NEXT 5 YEARS BOEING OR AIRBUS? David Burdick, Joseph DiPonzio. Doha Airport / City Centre. Increase in tourist arrivals and opening of new hotels expected to keep the market growth in line with 2014 performance. last page of this release. 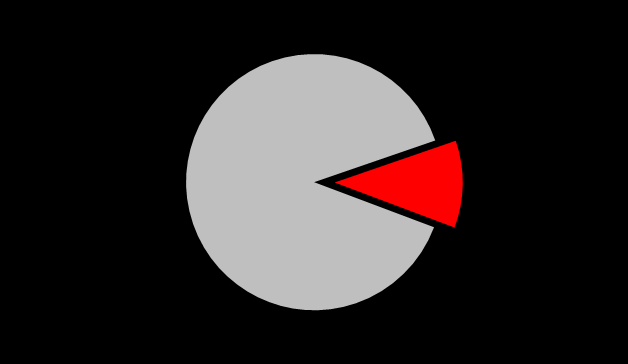 3 Operating margin is calculated as operating income divided by net revenues. Joe Randell President and Chief Executive Officer. Rick Flynn Chief Financial Officer. Nathalie Megann Director, Investor Relations.